“Development Without Aid” provides a critique of foreign aid as a resource that is unable to provide the dynamism to propel the poorest countries out of poverty. It examines the rapid growth of the world’s diasporas as an alternative dynamic with potential to supersede foreign aid and drive a reassertion of sovereignty by poor states, especially in Africa, over their own development. “Development Without Aid” opens up perspectives and analyzes facts about foreign aid to the poorest developing countries. The discussion is advocacy as much as analysis, and makes extensive reference to recent research, including the author’s previous work on the World Bank. 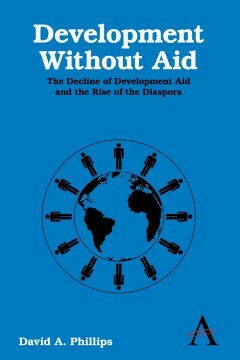 Starting from a perception about development formed during the author’s formative years in what is now Malawi, the book develops a critique of foreign aid as an alien resource inherently unable to provide the necessary dynamism to propel the poorest countries out of poverty, and compromised by profound anomalies which subvert its own effectiveness. The book aims to help move the perception of development in poor countries squarely beyond foreign aid and beyond the discussion of its role, architecture and design, and to re-assert an indigenous development path out of poverty. To move beyond foreign aid, the book examines a new international dynamic, i.e., the rapid growth of the world’s diasporas as a quasi-indigenous resource of increasing strength in terms of both financial and human capital. It considers the extent to which such resources might be able to replace the apparatus of foreign aid and help move towards a reassertion of sovereignty by poor states, especially in Africa, over their own development process. David A. Phillips is a writer and economic consultant. He was educated in Britain and has a PhD in economic development.